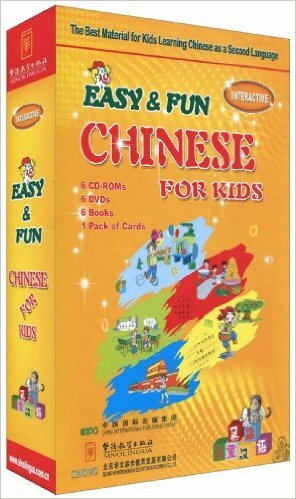 This textbook is compiled for non-native speaking children learning Chinese as a foreign language. It follows the rules of teaching foreign language to children and makes learning a great fun. Pinyin, spoken Chinese, Chinese children's songs, Chinese characters, and short passages are structured into this book. Accompanied with illustrations, this book is easy to follow and fun to use. Language skills of listening, speaking, reading and writing of children will be enhanced in a gradual way. There are complimentary multi-media software and DVDs that combine pronunciation, words, flashes and music. Both the textbook and multi-media tools are like a Chinese teacher standing by and make learning Chinese easy and fun.